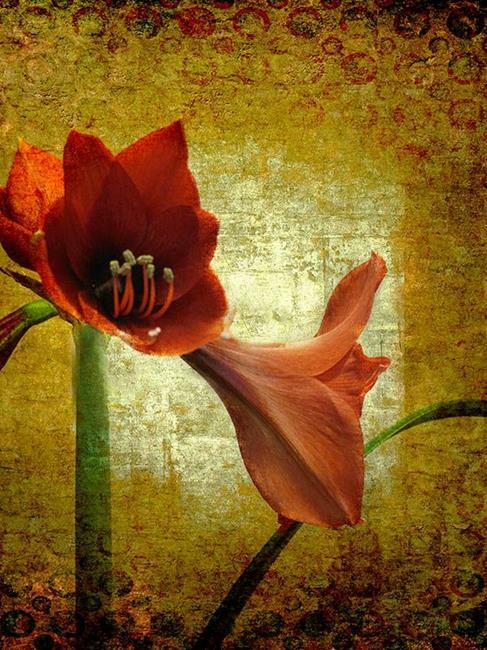 I created this image from a photo I took several years ago of an amaryllis that I had grown. I liked the lines of the picture, but never managed to do anything with it that I liked.This time around I am quite happy. I used several textural layers with blending modes and layer masks were quite helpful. I have decided to enter this image in the Flower of the Month Exhibit which is the Amaryllis this month. I am quite pleased with the stately feeling this final version of the image has. I am quite happy with it!